Vanessa Hudgens Joins Derek Hough & Hayley Erbert at Amazon Prime’s Post-Emmys Celebration | Derek Hough, Hayley Erbert, Vanessa Hudgens | Just Jared Jr.
Vanessa Hudgens oozes glamour while arriving at the Amazon Prime Video post Emmy Awards party held at Cecconi’s on Monday night (September 17) in West Hollywood, Calif. 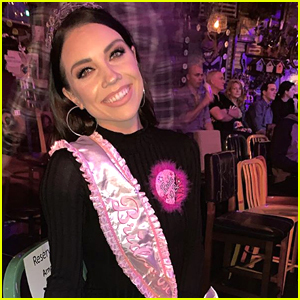 The 29-year-old So You Think You Can Dance judge and actress was joined at the party by longtime couple Derek Hough and Hayley Erbert. Derek and Hayley were also spotted inside the HBO Emmy Party later on in the night. If you missed it, Derek and Hayley just rescued a kitten over the weekend and it looks like they’ll be keeping him! FYI: Vanessa is wearing a SemSem dress. Hayley wore a red Julie Vino dress. 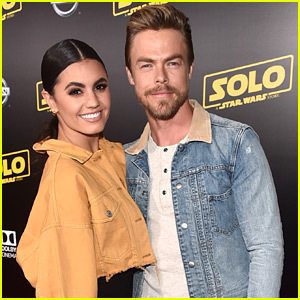 Hayley Erbert & Derek Hough Shared The Cutest Christmas Pics Ever! 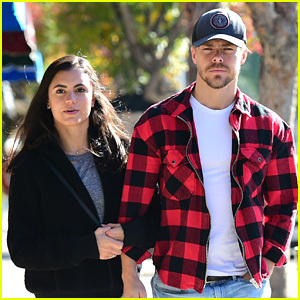 Derek Hough & Hayley Erbert Match in White Tees & Jeans!